Allows you to make cheap VU indicators really useful for almost any project in which you want to add the signal level indication. VU buffer isolates the signal lines isolates the Total Harmonic Distortion caused by the internal rectifiers in the VU meter, allows you to reach higher THD. The buffer is connected to the signal circuit at point where it is necessary to measure the signal level (input or output of the circuit, etc). Suitable for balanced/unbalanced and stereo/mono signals. 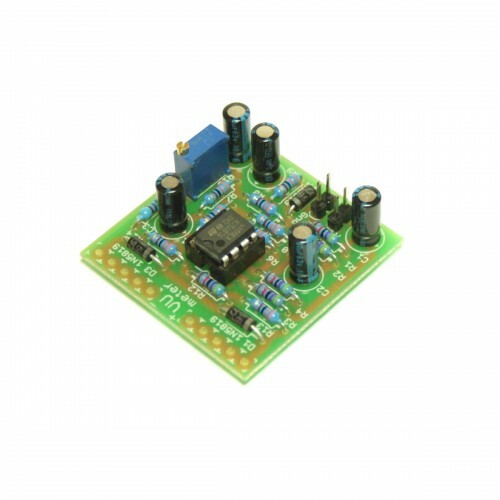 VU Buffer can run on any DC voltage from 9v to 30v.